Wingback Chair is one of our most regal rattan chairs and gives this Balcony Set a highly elegant appeal. The high, winged backs give the chairs unique character and the rounded braid running along their forward facing edge completes the look. 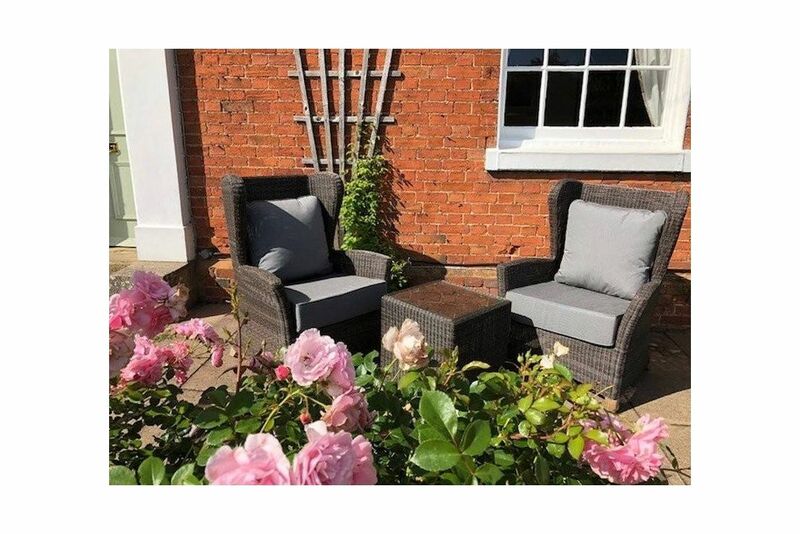 High, curved armrests and low set rattan down to the feet. the coffee table is intentionally understated to keep the focus on the eye-catching feature of the chairs. Tightly handwoven from Ecolene synthetic rattan by time served craftspeople. It looks and feels just like natural rattan. Ecolene is virtually maintenance free, just wipe it down with a wet cloth every now and again. It is manufactured to be environmentally friendly - unlike many other fibres on the market today - so it contains no harmful elements like Cadmium or Lead. There is very little waste produced in its production. Their fibres are tested across a huge range of temperatures from minus 70 to plus 70 degrees - meaning the weave will last for years of outdoor use without fading or degrading.